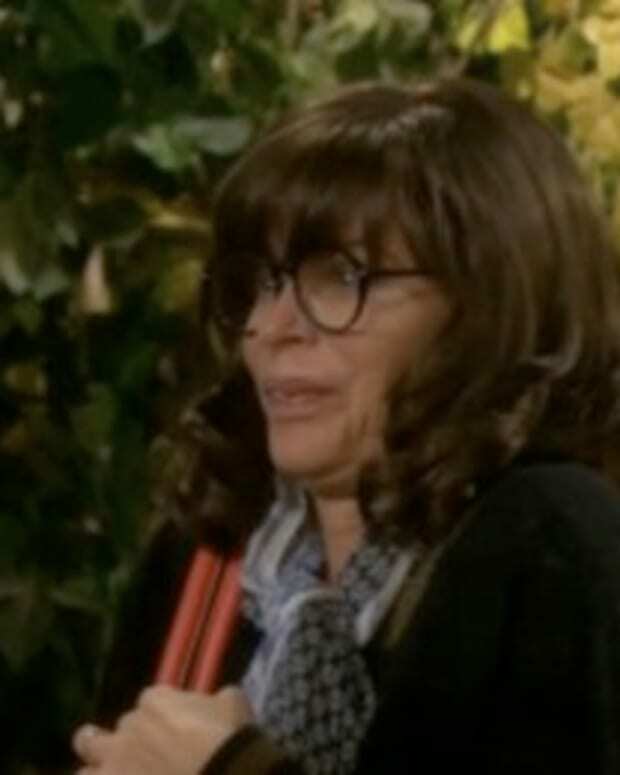 Spoiler Alert: Days of Our Lives kills off yet another iconic character next week. In their defense, I&apos;ve lost count of how many times this particular character has been iced! In a fit of revenge-inspired blood lust, Hope Williams Brady (Kristian Alfonso) kills once insurmountable crime lord Stefano DiMera (Joe Mascolo). Judging from the promo above, Hope&apos;s partner-turned-love interest Rafe Hernandez (Galen Gering) is going to help the grieving cop cover up her crime Weekend at Bernie&apos;s style. While the life drains out of his father, Chad (Billy Flynn) will be proposing to Abigail (Kate Mansi). Meanwhile, Patch (Stephen Nichols) finds out from Ava (Tamara Braun) they supposedly share a son. RELATED: Kate Mansi on DAYS Exit: "I’ve Decided The Timing Was Right"
I&apos;ve made no secret of my disdain for the back-to-back deaths with no long-term story repercussions on DAYS. The last few months have been gratuitous and lazy in this regard. If multiple deaths with no payoffs are the only tools a writer has to wring momentary emotional reactions out of his or her canvas, that&apos;s problematic. However, I&apos;m cutting the powers that be at the NBC soap a slight bit of slack on this one. Soap legend Mascolo is 86-years-old. The beloved actor is no longer able to carry DAYS stories like he did on and off for three and a half decades. I&apos;m okay with Stefano going out quite literally with a bang, so long as it leads to actual stories for his friends, enemies and dysfunctional loved ones. I am miffed at how absent John Black (Drake Hogestyn) is from this arc. 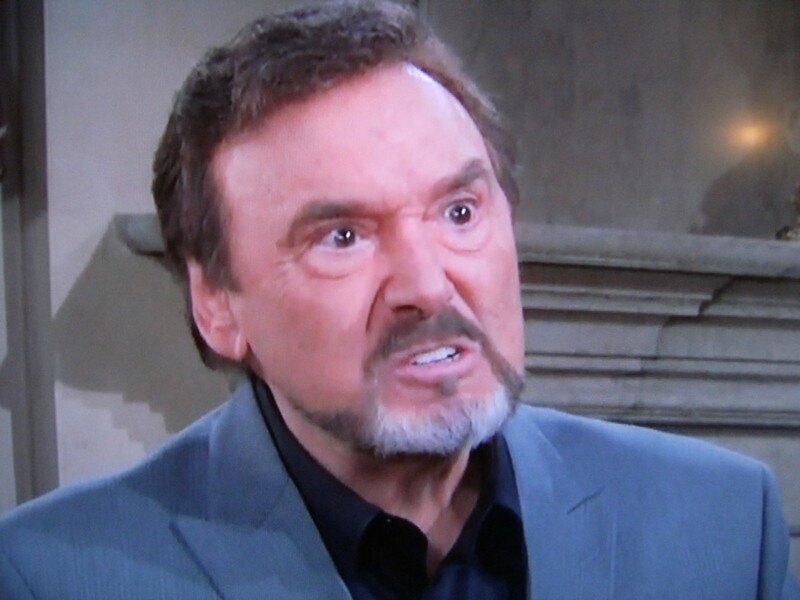 Stefano was his and Marlena&apos;s (Deidre Hall) arch nemesis, not Hope&apos;s. If this truly is Stefano&apos;s last stand, Jarlena should have been involved. Roman too, though in my soap operatic wet dreams the soap would have brought back Wayne Northrop for this auspicious occasion. No shade to Josh Taylor. Sure, Stefano pulled dastardly stunts against Bo (Peter Reckell) and Hope, and she&apos;s convinced he&apos;s the one who had her beloved kidnapped and tortured (He didn&apos;t). 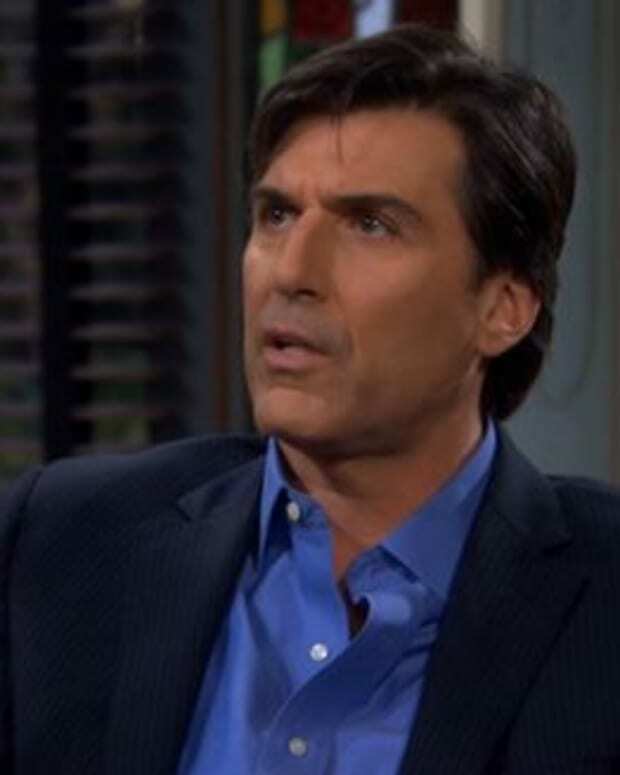 Stefano wasn&apos;t Bo and Hope&apos;s primary foe from the soap opera&apos;s canon; Larry Welch (Andrew Hyatt Masset) was. I really wish today&apos;s soap writers and executives took a page from Star Wars in trying to understand stuff like this. 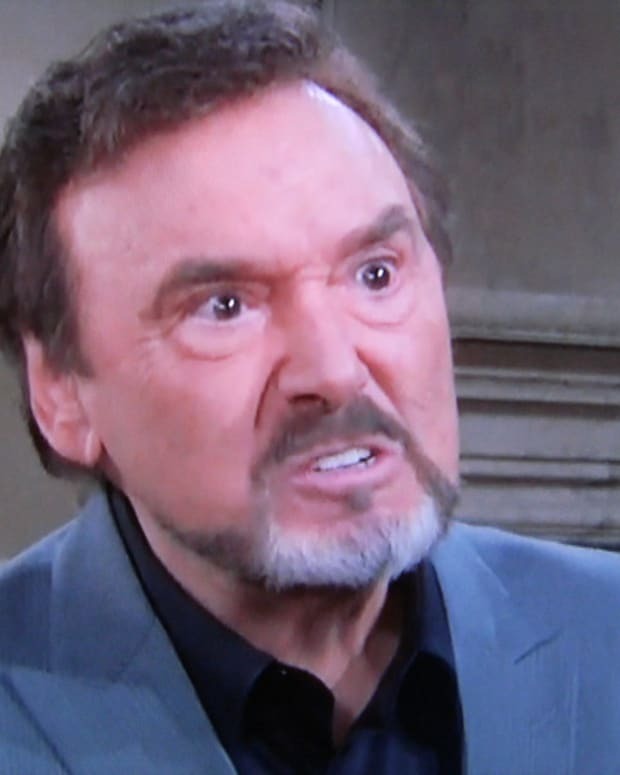 Instead of looking for his "real" parents for the umpteenth time on this show, John should have been engaging in one last battle with Stefano in 2015, even if the DiMera sons had to do the heavy lifting for their ailing patriarch. Not having The Phoenix&apos;s Pawn and his Queen of the Night central to the "true death" of Stefano DiMera is a glaring omission. I really wish today&apos;s soap writers took a page from Star Wars: The Force Awakens in trying to understand stuff like this. No, really, I do. I don&apos;t particularly enjoy being an a$$hole on Twitter about a genre I cherish. I want to gush about suds again! But I&apos;m not gonna do it unless they give me a reason to. I don&apos;t believe in this whole "We should just support the genre and be shiny, happy, people because four of our soaps are still on" b.s. Spoiler Alert: JJ Abrams knew the importance of having Han Solo (Harrison Ford) and Leia&apos;s (Carrie Fisher) fallen son (and Darth Vader&apos;s grandson!) be the one who brings about Han&apos;s endgame. Heck, even much-lamented Star Wars creator George Lucas refers to the multi-billion dollar franchise as a "family soap opera". If Stefano was the ultimate Sith lord, John Black was his opposing Jedi Knight. OMG, I&apos;m sounding like my business partner Luke Kerr. Quick, someone show me a Dynasty clip to de-geek my mind! If daytime soaps are ever to stand a chance at recapturing a place in the pop culture zeitgeist, they have to get back to telling stories with mythic themes and move past churning out one plot driven stunt after another, simply for the sake of shock, awe and temporary Nielsen ratings spikes. Days of Our Lives Spoiler: Will Vincent Irizarry's Character Pose Bigger Threat Than Stefano?